Acensium’s commitment to delivering project analysis data when it is needed. ‘Reality Capture’ is a process through which interior and exterior environments can be digitized through 3D laser scanning. 3D laser scanning is millimeter accurate, fast and less labor intensive as traditional survey methods. 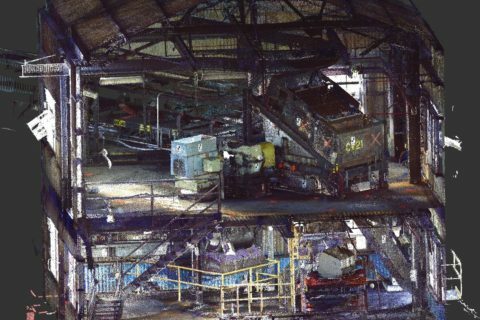 Outside of Augmented Reality, another benefit of accurate 3D laser scans is the ability to export digital as-built renderings for record-keeping, insurance and compliance requirements. Once the ‘point clouds’ generated by laser scans have been stitched together, a full 3D representation of a space is available. Acensium is a leader in 3D laser-scanning and engineering support for retrofit projects. Leveraging experience with cutting-edge technology, Acensium is able to analyze complex situations in 3D and detail possible difficulties, process improvements or equipment risks. 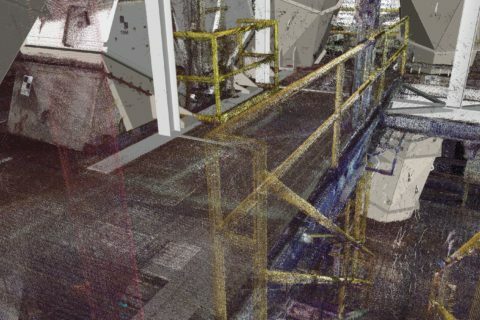 Digitizing an environment not only provides insight into issues but gives engineers and decision makes a digital canvas to plan renovations or new installations in minute detail, lowering or eliminating the risk of conflicts or unnecessary stoppages. Over the Thanksgiving Holiday, Acensium was engaged in a number of critical scanning projects for industrial clients. 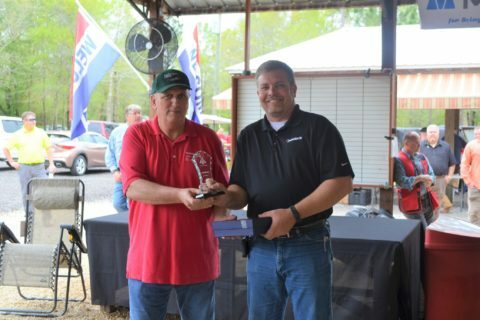 Acensium engineers visited 5 sites in 6 days over the holiday, driving 852 miles and flying 4260 miles. Over the course of 6 days scanning, the Acensium team took 3284 scans which are made up of 334,968 MB (~335 GB or 0.335 TB) of raw scan data. 3200 scans are more scans than many scanning companies perform in a single year. The scan data contains nearly 94 billion data points collected (93,922,400,000). The scanning and analysis were completed on-time and on-budget, delivering the engineering support and project risk management the clients need, exactly when they need it. Acensium is an effective partner for engineering design and laser-scanning services because we approach each job as a unique task with a defined set of requirements. Whether the job demands late hours or holiday work, Acensium is committed to delivering the analysis needed to meet project deadlines. There are no cookie cutter solutions that work 100% of the time. Knowing this, Acensium leverages decades of experience to deliver concrete analysis on every project. Dust Control Compliance: What is Combustible Dust?